Support your child's innate sense of awe, wonder, and curiosity by exploring nature with her at your National Park, local park, or even in your backyard! 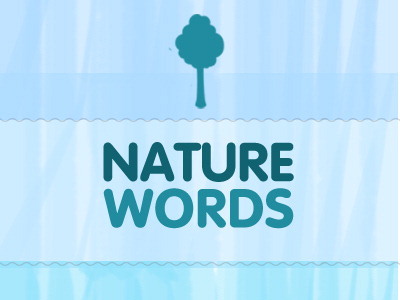 Exposing your child to nature and scientific knowledge helps develop language, inquiry skills, self-esteem and confidence, and will motivate her to engage in activities that help the world stay clean and beautiful. 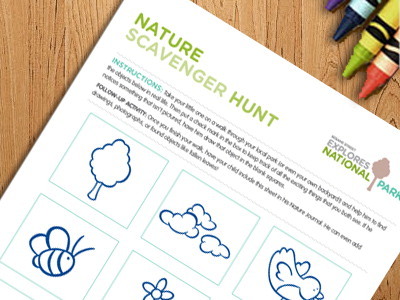 Go on a nature hunt with your child and search for different kinds of nests. Nests can be made by many different types of birds, animals and bugs, and can be found in trees, shrubs, or even on the ground. Nests are homes, so we want to be respectful and not get too close. Use binoculars, or make pretend binoculars with your hands, to look closely at the nests from far away and talk about what they look like and what they are made of. Ask your child what he notices about the animal families that live in the nests. 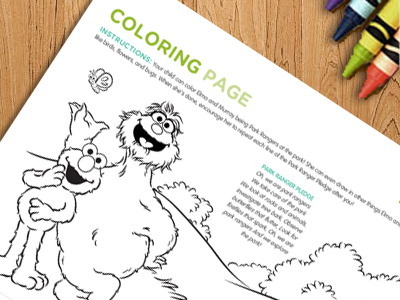 Encourage him to take pictures or draw what he finds in his nature journal. 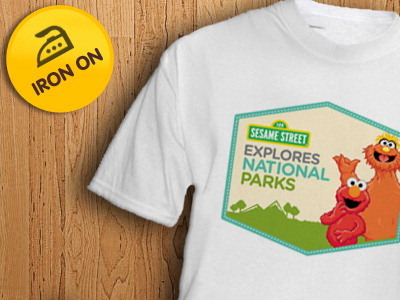 Watch and Talk: What kinds of nests did Elmo and Murray learn about at Gateway? What would you build your nest out of? Go outside and explore springtime, or any season, with your child using all of your senses! In spring, feel the warm weather on your skin, smell fresh cut grass, listen for rain falling, and look for new leaves budding on trees. Also, many animals migrate during spring. Encourage your child to be quiet and listen for these animals and birds making sounds. Ask, “Where are the sounds coming from?”, “Who is making those sounds?” Encourage your child to keep track of what she sees, smells, touches and hears in her nature journal. Watch and Talk: What did Elmo and Murray learn about the animals migrating to Gateway? Using all of your sense, what do you observe about the season you are currently in? Go on a safari with your child! Use binoculars, or make pretend binoculars with your hands, to search your park, neighborhood, or backyard for animals and their families. First, you can go to the library for a field guide to the animals of your region or online to learn more about what animals live in your area. Then, look closely and carefully for animal tracks, nests and homes to help you find the animals that live around you. Talk with your child about how these animal families take care of each other and the similarities and differences to your own family. Watch and Talk: What did Elmo and Murray learn about the California Condor family? What kinds of animal families did they observe in their local park? A habitat is a place where animals live and find food, water and a place to sleep just like you and your child do in your neighborhood habitat. Did you know that many birds, insects and other animals share your habitat, too? Explore your neighborhood with your child and look and listen for different animals, birds or bugs. Count how many you find and encourage your child to record it in her journal. The more different kinds of animals you find, the more diverse and healthy a habitat it is. Watch and Talk: What did Elmo and Murray learn about the salt marsh at Gateway? What animals and habitats did they discover in their local park? Explore the seasons together with your child and encourage her to observe her surroundings using all of her senses. Play a “Guess that Season Game” with her and ask her questions such as, “What does the temperature feel like outside?”, “What color are the leaves?”, “Are plants beginning to bloom?”, “Do you hear birds chirping?”, “What do you smell?” Keep track of what you see, smell, touch and hear in a nature journal. 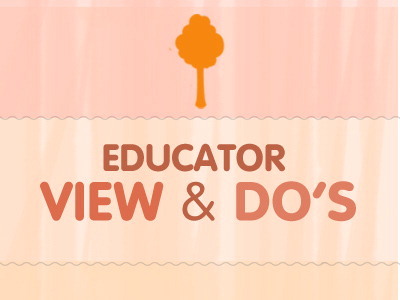 Include photographs, drawings and even fallen twigs, leaves and flowers. 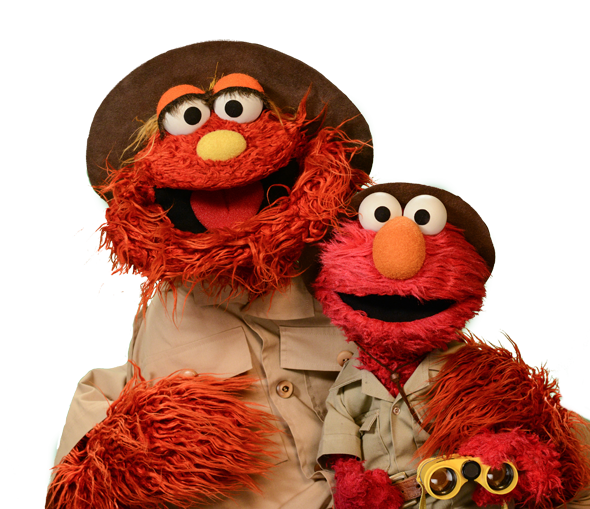 Watch and Talk: What did Elmo and Murray learn about the seasons at Grand Canyon? What did you discover about the season you’re currently in? What season comes next? Some examples of Habitats are beaches, rainforests, jungles or the desert. You can explore local habitats with your child such as the park, a pond, your neighborhood, your backyard or even under a rock! Talk with your child about what makes these places a good habitat for the animals, birds and bugs that live there. 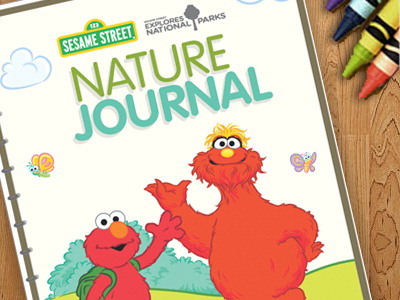 Ask questions such as, “What do they eat?” “Where could they sleep?” “Where can they find water?” Encourage her to take pictures or draw pictures of the habitats she discovers in her nature journal. 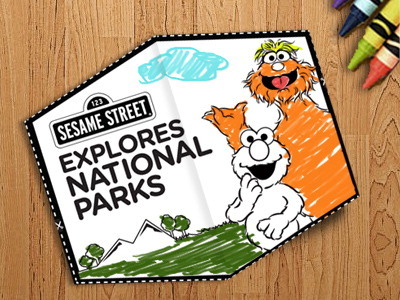 Watch and Talk: What kinds of different animals and habitats did Elmo and Murray learn about at Grand Canyon National Park? How do the habitats at Grand Canyon compare to the habitat where you live?